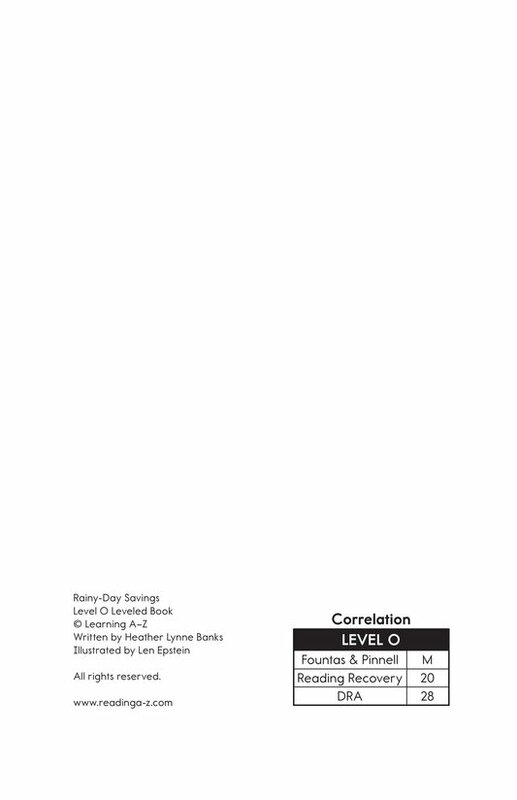 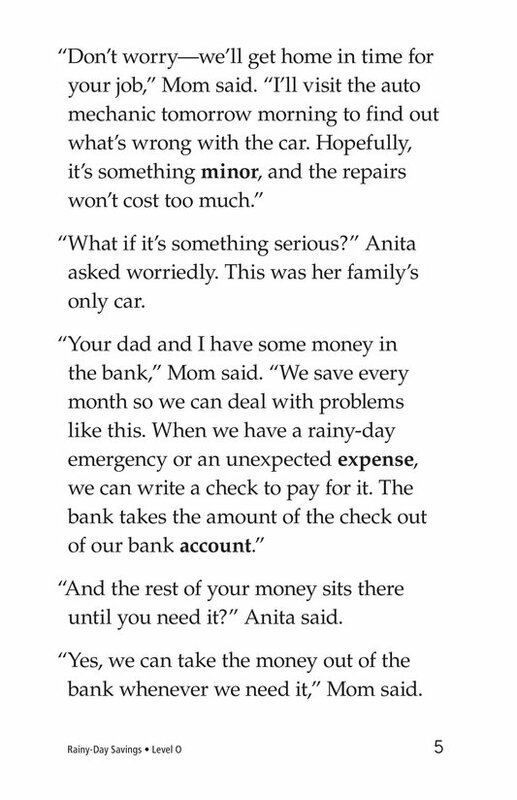 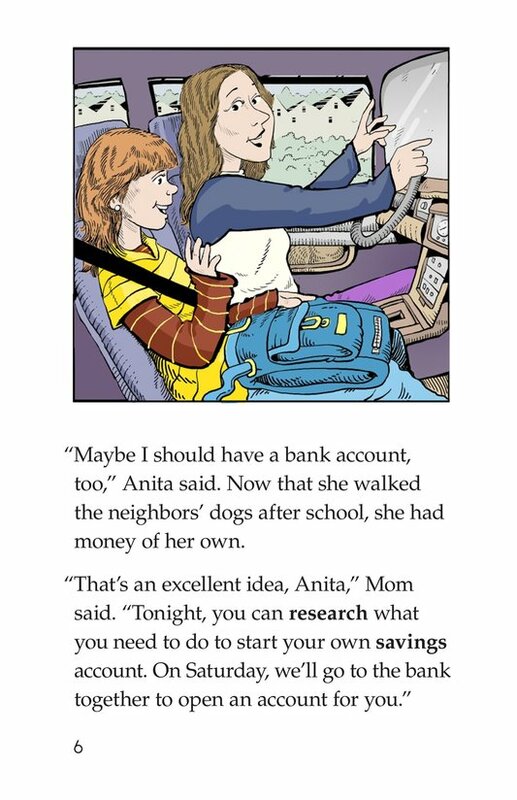 In this piece of realistic fiction, Anita learns the value of saving her money and watching it grow with interest. 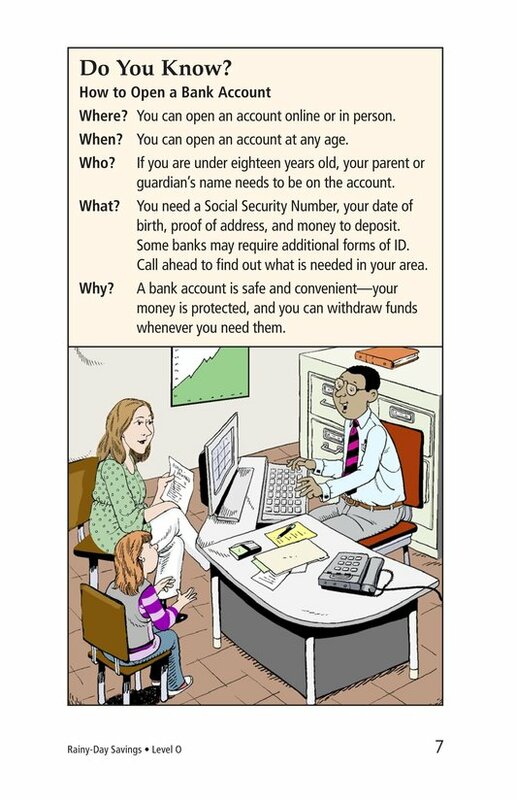 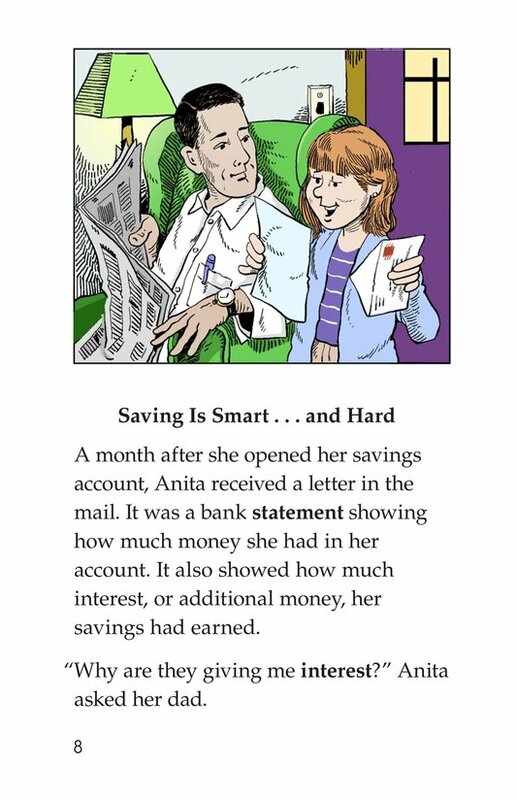 Her parents lead by example, explaining to her how they save money each month for times when they need an emergency fund. 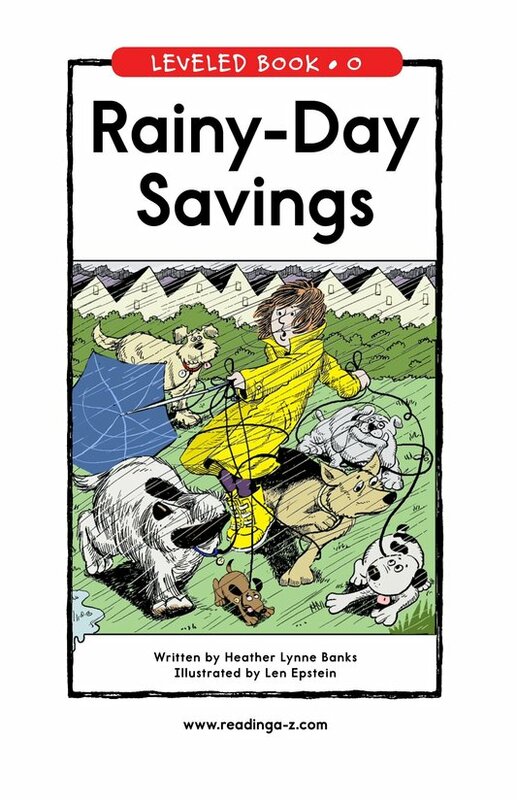 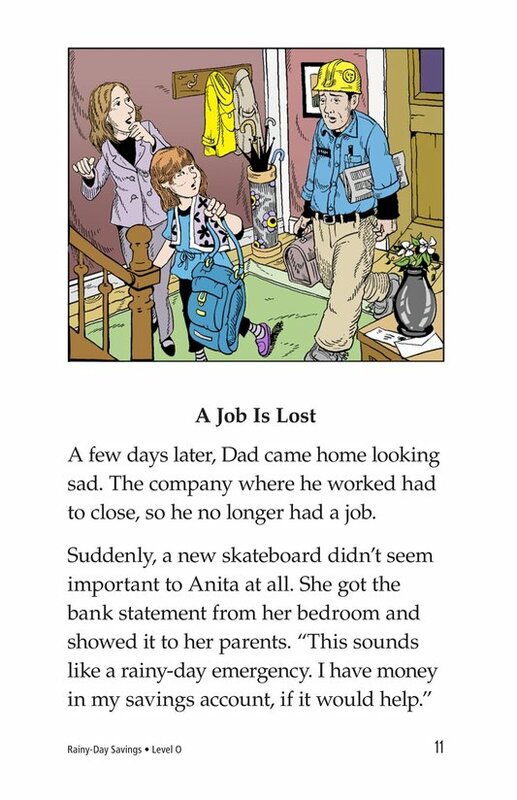 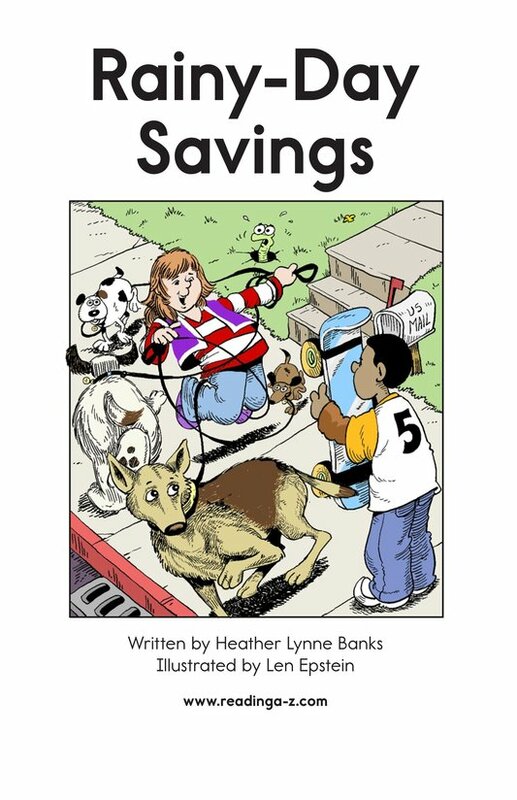 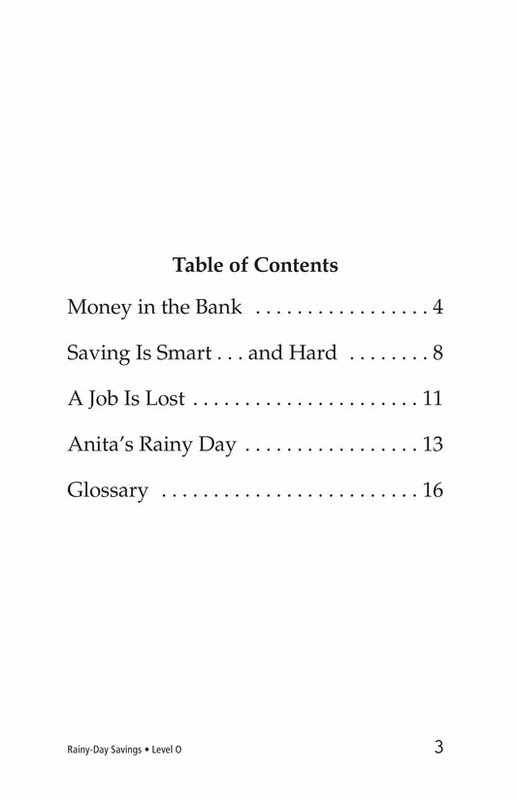 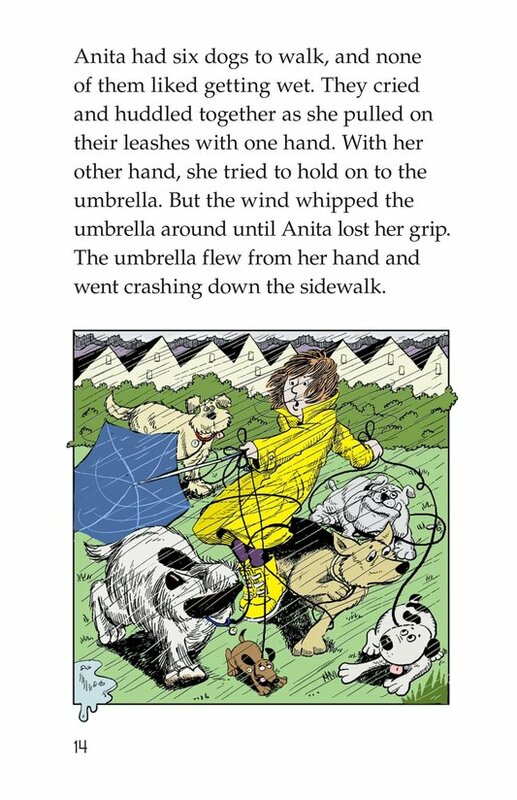 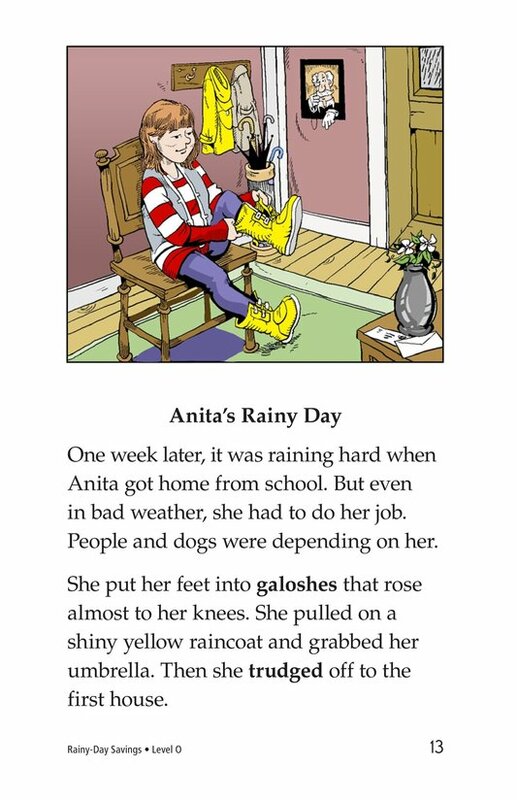 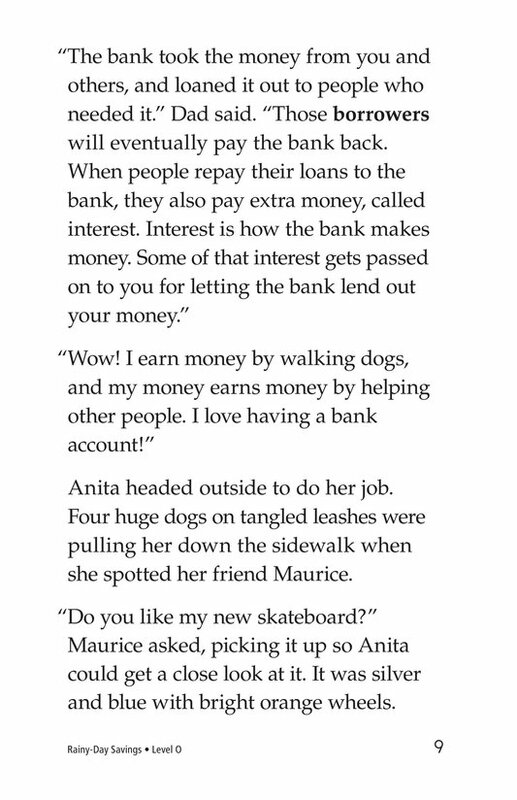 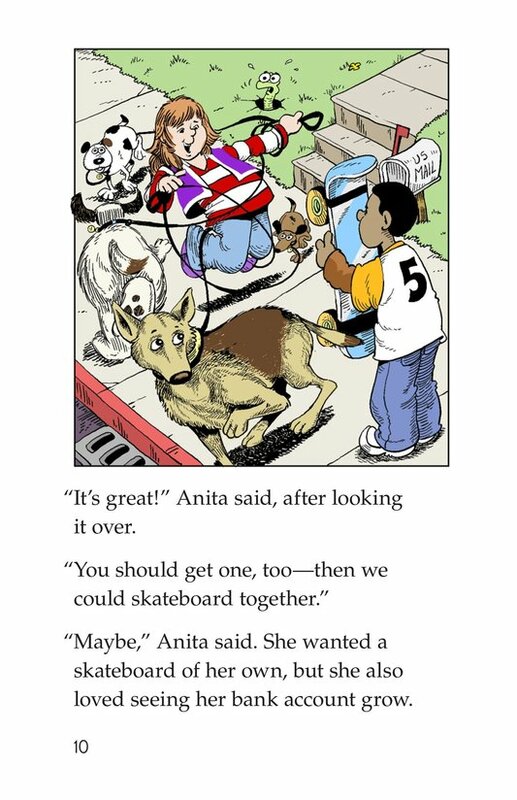 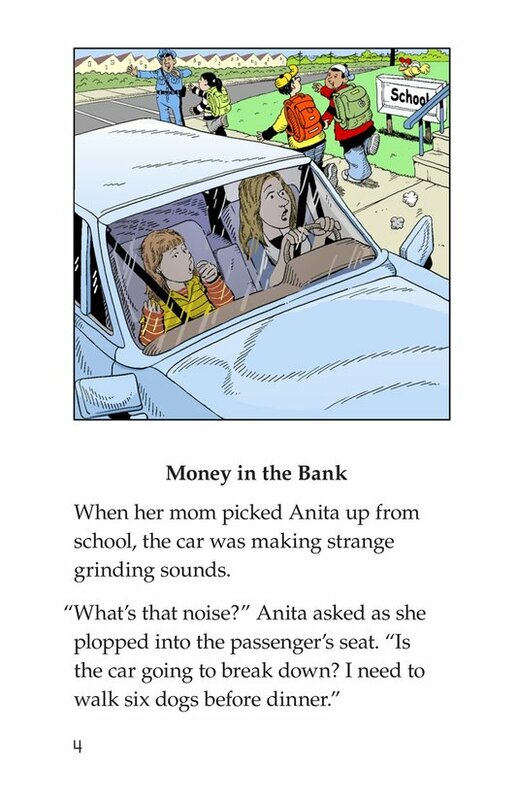 Since Anita earns money walking dogs after school, she decides that it is time she open her own "rainy-day" savings account. 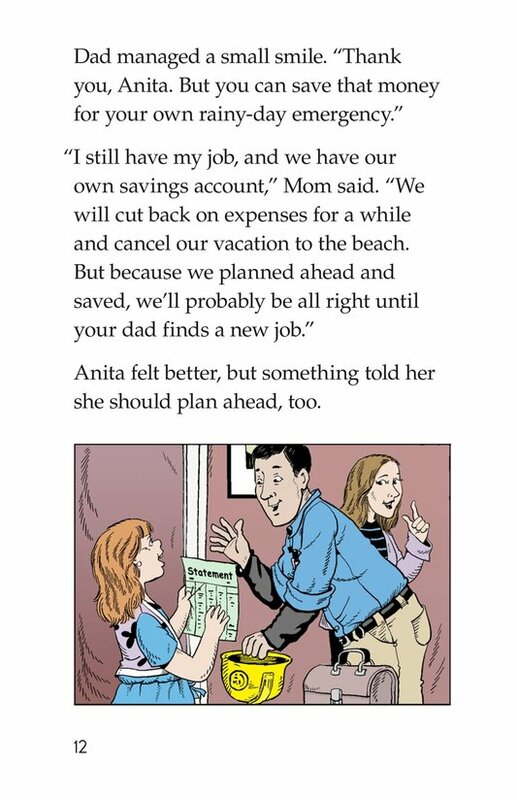 When her father loses his job, it seems like the right thing to do to offer her savings to her parents. 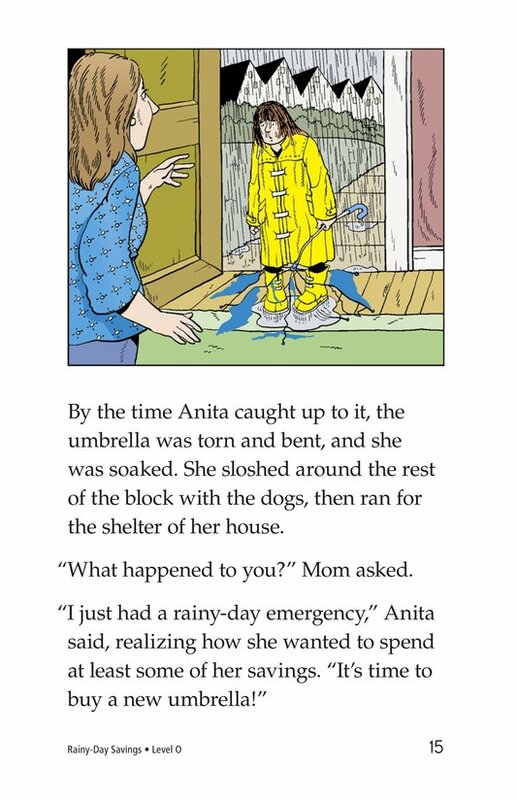 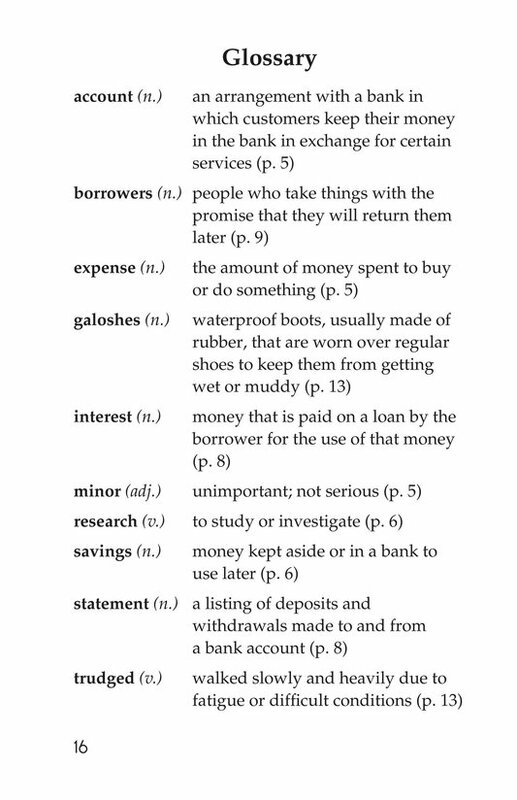 But they help her understand that she, too, may have an emergency for which she needs money.